WHAT DOES TARBORO SAVINGS BANK, SSB DO WITH YOUR PERSONAL INFORMATION? All financial companies need to share customers’ personal information to run their everyday business. In the section below, we list the reasons financial companies can share their customers’ personal information; the reasons Tarboro Savings Bank, chooses to share; and whether you can limit this sharing. Tarboro Savings Bank, SSB protects your personal information from unauthorized access and use, we use security measures that comply with federal law. These measures include computer safeguards and secured files and building. 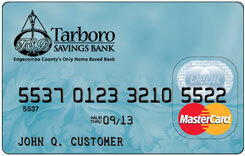 Tarboro Savings Bank, SSB collects your personal information when you open an account or apply for a loan. We also collect your personal information from others, such as credit bureaus. Federal law gives you the right to limit only sharing for affiliates’ everyday business purposes - information about your creditworthiness, affiliates from using your information to market to you and sharing for nonaffiliated to market to you. State laws and individual companies may give you additional rights to limit sharing. TARBORO SAVINGS BANK, SSB MAY DISCLOSURE THE INFORMATION DESCRIBED ABOVE TO OTHER PARTIES (1) WHEN THAT INFORMATION IS REQUESTED AND AUTHORIZED BY YOU IN WRITING; (2) WHEN IT IS NEEDED TO PROCESS OR COMPLETE A TRANSACTION INITIATED BY YOU; (3) WHEN REUIQRED OR ALLOWED BY LAW; OR (4) WITH REPUTABLE CREDIT REPORTING AGENCIES. Nonaffiliated - Companies not related by common ownership or control. They can be financial and non- financial companies. 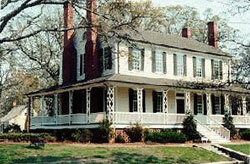 Tarboro Savings Bank, SSB has no nonaffiliated relationships. Joint Marketing - A formal agreement between nonaffiliated financial companies that together market financial products or services to you. Tarboro Savings Bank, SSB has no joint marketing relationships.